The No. 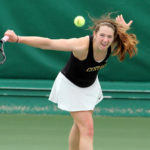 28-ranked Gustavus women’s tennis remained unbeaten during Minnesota Intercollegiate Athletic Conference play, defeating Bethel University 7-2 and St. Catherine University 8-1 on Saturday. 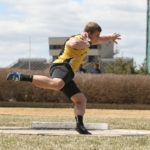 The Gustavus men’s track & field competed well at the 18th Annual Drake Alternative meet on Saturday as the team turned in four top finishes and many other notable performances. 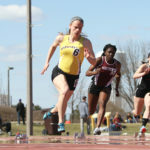 The Gustavus women's track & field shined at the 18th Annual Drake Alternative meet on Saturday as the team turned in six individual top finishes and many other notable performances. The Gustavus baseball team came back with a 5-2 victory during game two after dropping game one 3-1 in a Minnesota Intercollegiate Athletic Conference doubleheader at Concordia College Saturday afternoon. The No. 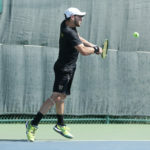 6 Gustavus men’s tennis team completed a convincing 9-0 shutout over St. Thomas on Saturday afternoon on the Brown Outdoor Tennis Courts, marking the first home outdoor match of the season. The win moves the Gusties to 20-8 overall and 8-0 in the MIAC. The Gusties have also clinched at least a share of the MIAC regular season championship since they are the sole undefeated team remaining with one match left to play. 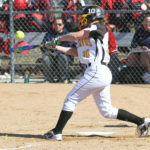 The Gustavus softball team was swept by Augsburg on Friday night at the University of Northwestern-St. Paul. The losses drop the Gusties to 10-24 overall and 6-14 in the MIAC, while the Auggies improve to 19-17 overall and 11-9 in the league. The No. 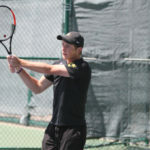 6 Gustavus men’s tennis team Friday made quick work of a couple conference opponents on the road, defeating Hamline 7-2 and Macalester 9-0 as a split squad. The victories move the Gusties to 19-8 overall and 7-0 in the MIAC, which has secured them at least the No. 3 seed in the league playoffs with two matches to play. 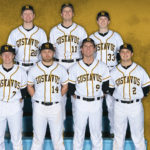 The Gustavus baseball team returns to action this weekend with two Minnesota Intercollegiate Athletic Conference doubleheaders versus Concordia and Macalester. The Gusties (11-12, 3-5 MIAC) will face the Cobbers (12-13, 5-5 MIAC) in Moorhead on Saturday prior to hosting the Scots (15-12, 5-5 MIAC) on Sunday during senior day. The No. 28-ranked Gustavus women’s tennis team is set to close out its regular season this weekend with four matches ahead on the road. On Saturday, the Gusties will take on Bethel in Arden Hills, Minn. at 11 a.m. prior to traveling to St. Paul, Minn. to face St. Catherine at 4:30 p.m. On Sunday, Gustavus faces Hamline at 10 a.m. and Macalester at 3 p.m. 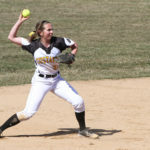 It was a sight for sore eyes Thursday as the Gustavus softball team finally played its first game on the natural playing surface of the Gustie Softball Field. The Gusties hosted Saint Mary's and ended in a split, losing the first game 3-1 before winning the second 2-1. Gustavus is now 10-22 overall and 6-12 in the MIAC.